ST. PETERSBURG, Fla. — Minor League Baseball™ (MiLB™) and MiLB Charities today announced that 20 high school students nationwide will receive a $500 college stipend as part of the Big Brothers Big Sisters Rising Star Students program. The award honors high-achieving students involved in the Big Brothers Big Sisters of America mentorship program who are preparing for their “call-up” to college. The Big Brothers Big Sisters Rising Star Students program further reinforces MiLB’s commitment to its communities and its charitable partners. In the third year of the program, MiLB is expanding its reach to even more deserving students and paving the way for future expansion. The 20 winners include high school seniors from 18 Big Brothers Big Sisters of America affiliates across 14 states. Nominees were required to provide submissions describing their academic and personal achievements, college and career goals, and how their involvement in the Big Brothers Big Sisters program has impacted them. To be eligible, nominees were required to be “Bigs” or “Littles” in Big Brothers Big Sisters mentoring programs. 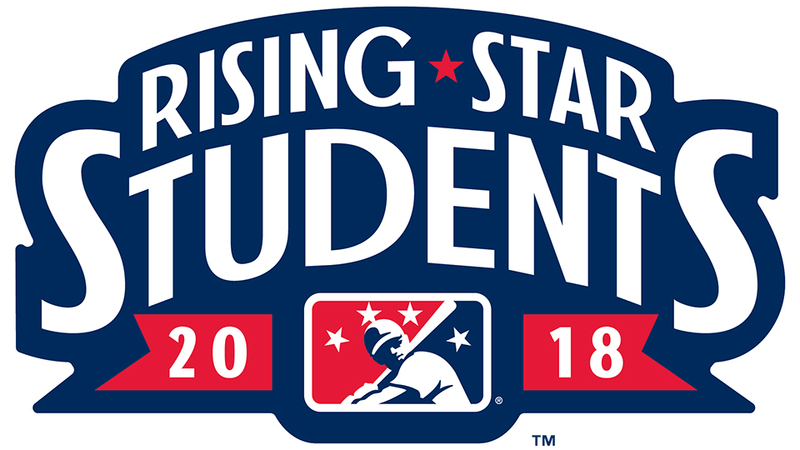 “This group of driven, hard-working students has demonstrated what it means to be a ‘Rising Star’ in their respective communities, and Minor League Baseball is honored to provide this stipend as they embark on the next level of their academic careers,” said Pat O’Conner, Minor League Baseball President & CEO. “Big Brothers Big Sisters of America is so proud of these outstanding young people, and we are honored to partner with Minor League Baseball to celebrate their achievements in high school and help start them on the path to success in college,” said Big Brothers Big Sisters of America President and CEO Pam Iorio. Big Brothers Big Sisters of America has been an MiLB Charity Partner since the program’s inception in 2004. The mission of the Minor League Baseball Charity Partners Program is to provide national exposure for participating charities, expand current relationships between clubs and local chapters and to foster new relationships where none exist. In 2017, charitable giving by Minor League Baseball teams and MiLB Charities totaled nearly $40 million. Minor League Baseball, headquartered in St. Petersburg, Florida, is the governing body for all professional baseball teams in the United States, Canada and the Dominican Republic that are affiliated with Major League Baseball® clubs through their farm systems. Fans are coming out in unprecedented numbers to this one-of-a-kind experience that can only be found at Minor League Baseball ballparks. In 2017, Minor League Baseball attracted 41.8 million fans to its ballparks to see the future stars of the sport hone their skills. From the electricity in the stands to the excitement on the field, Minor League Baseball has provided affordable family-friendly entertainment to people of all ages since its founding in 1901. For more information visit www.MiLB.com.